• My DJ to open the fire space. After Millstreet and Toulouse, where the fire spaces were huge and deserted, I had an expectation that this year’s fire space would be equally bare. I got to the site early, courtesy of the fire space organizers, and we built a somewhat smaller space that would help confine the energy and keep the space feeling full. On the night the fire space opened, I had five hours of DJ mixes ready to go in case I wanted to just bail and go hear Oli Pinchbeck’s set of funky breaks in the bar tent. But as ten o’clock approached, more and more people started showing up, many of whom were packing LED props and a handful with children in tow. I put on an old lounge mix and watched people come in, and as soon as the fire space opened I started dropping tracks to see what would happen. Over the whole night, the space felt like an American fire festival, up there with Pacific Fire Gathering or MOPS. The four-hour set went by in a flash and I had people stopping by every few minutes to raise the roof at me. • Best gala show I’ve seen at an EJC. My two favorite acts are tied for first place. The first was Jacob Sharpe, who put on maybe the strongest diabolo act I’ve ever seen; I felt seriously post-orgasmic following the act and the crowd jumped to their feet with an unhesitant standing ovation afterward. As well, the Russian foot juggler brought a super strong character and incredible skils. She reminded me quite a bit of a dear friend I came up with in the circus and used vocal inflections really strongly to punctuate her technique, including “Bwoahhh! BWOOAAAH!” for her climactic trick, the same onomatopoeia I use to describe the stunned amazement at seeing a really kickass trick! • The circus school show. Out of all the acts, maybe half were silent, and I found myself falling asleep through a lot of it. Among all the acts, only a handful were really great. It definitely gave me more confidence about not having gone to circus school myself, though I talked to one of the emcees and she confided in me that it was really hard to find acts at EJC who were from formal institutions; and it’s also not to say that all the acts were the best those schools had to offer, since the gala was full of academy-trained artists at the top of their field. • Pass lots of clubs: failed. But I did learn a cool new pattern (Ringelreigen) that I’m excited to share with friends back home, and did heaps of contact club partially thanks to Marvin Ong. • Clown classes: I took one short character workshop that I felt like I’d taken before, and one two-hour epic in red-nose clowning that felt like just what I needed on the Friday of EJC. Thanks, Rey! • Unpredictable weather. Every morning I wanted to sleep in, my tent turned into a sauna at 8:30 AM. Every time I tried to dry laundry, it got drenched in the rain. This led to my leaving EJC with a backpack full of wet laundry, which smelled reallllly awesome after a day on the road. • I sure wish I’d gotten a better chance to know the smexy British juggler I’d hung out with for quite a few select moments. If you’re reading, hi — wish I’d had the time and wherewithal to buy you lunch (see above story about having to bite an extra plane ticket this tour). • The hottest Belarusian ball-on-head girl from EJC Toulouse showed up again. • So did an old tour sweetheart from back in the day. • I got by really well in France by learning “Pardon, je suis Californiano; je ne parle pa français, parlez vous englais o poquito español?” So I figured that I’d learn the same phrase in Italian and be able to get by a little bit. But in Brunico, Italy, everybody’s first language is German and their second language is Italian. Fortunately, I picked up “restaurant German” about ten years ago in a couple of college classes, so I was able to help me and mine navigate the town with relative ease. • Santa Cruz, California brought the biggest contingent of Americans from the same town!! We’re gonna put this place back on the map so hard. 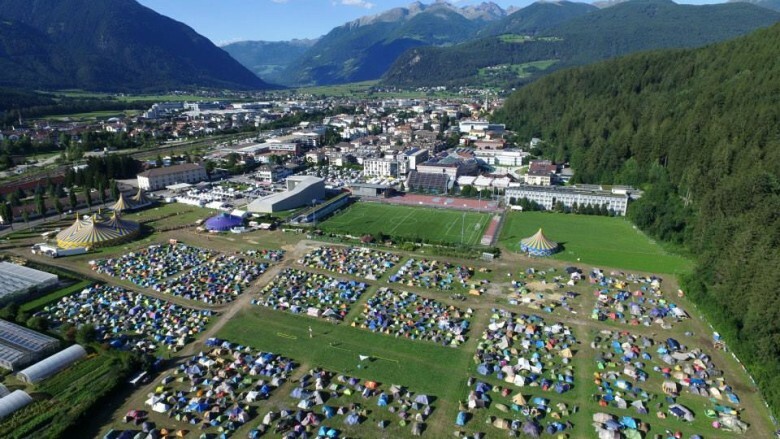 Well hello, festival season! Good to be back in you. This last weekend marked my first time back in Arcata, California in two years. 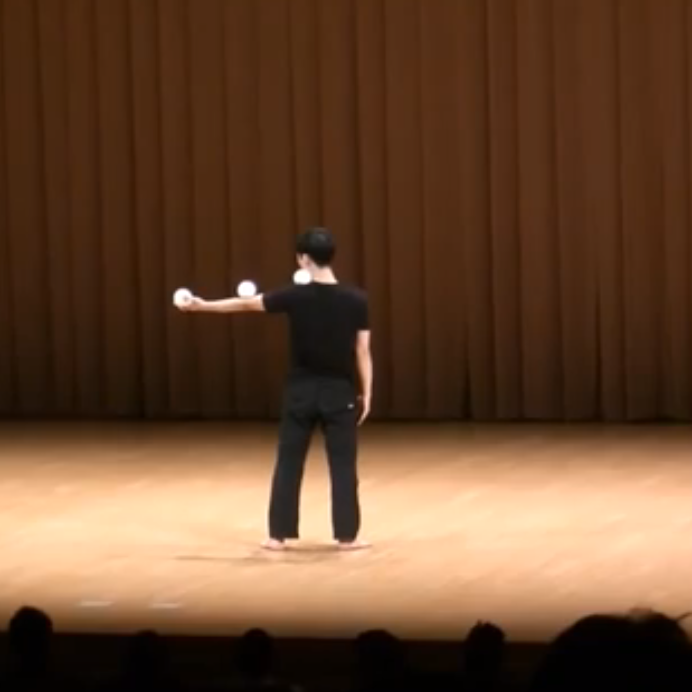 Last year, I was booked during the Humboldt Juggling Festival for the first time in six years; that makes this year my sixth HJF in seven years. I could be biased because it was my first juggling festival away from home, but Humboldt has consistently been one of my favorite juggling events every year. Maybe it’s because pieces of my entire west coast circus tribe attend; maybe it’s because the California redwoods on the water remind me of home; maybe it’s because it’s usually the first or second each year. 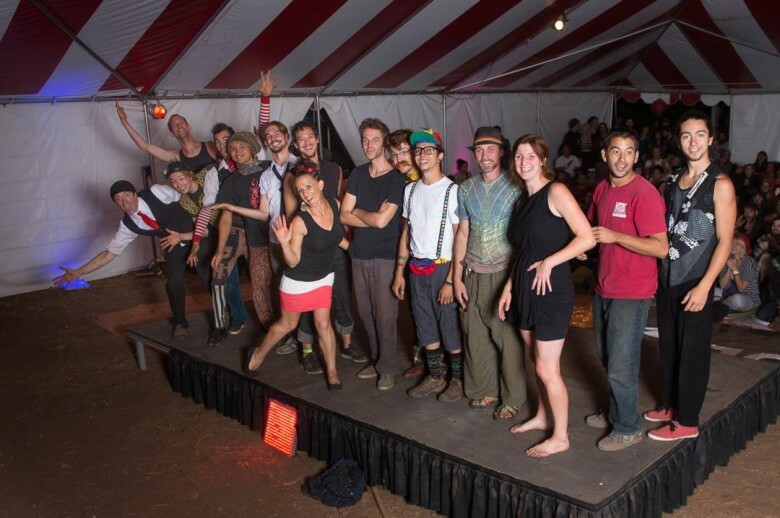 But there’s a reason–many reasons–that people from all over the West Coast tell all their friends to attend the Humboldt Juggling Festival even though we all have to drive five hours or longer to get there. Time for this year’s first round of the classic juggler’s game, High Low Goal Bane Crush Surprise: 2015 HJF Edition! • OK my other favorite act had to be the Johnston Brothers. Yes, they are brothers. Yes, it is how they juggle so well together like that. • Willow’s poi tosses workshop changed my life. Particularly in that I’m a better poi spinner now. • I similarly gained a lot of confidence in the contact staff workshop with Randy of Flow Factory. Ready to spin more staff this season! • Post-Renegade show hangover took a big bite out of my Saturday. Still, with dedicated hydration and a moderate pace I managed to make it through. • Get my trick at the Renegade show (fly a two high, ball on head, five-ball qualify): success! • Qualify five-ball box: success! • Play with all the props: failure. Didn’t touch my clubs or my mini hoop all weekend. • No Jordan Daniels at Humboldt?!?! I’m gonna mean mug this kid so hard at Flow Show SF next week. • Gym renegade. Wasn’t that bad, all things considered. Wasn’t that great either, though. • Intro to Contact class during the first workshop slot on Saturday while everybody was in bed! • Everybody is gonna say ((somebody good I can’t talk about on the internet)) but I already crushed her at Fall MOPS, so there! • A-Rod, my social justice buddy from the internet. If you’re reading this, Ms, I hope you wind up at SFSU so we can watch anime and rage out about the news sometime k? • Rain! In California! Yesssss! • Just… so many excellent people I didn’t expect to see. To be honest, there’s not a lot I’m surprised by at HJF after attending for six years now; I feel like I’d only be surprised if the fest wasn’t a stunner. Can’t wait for the season to ramp up! 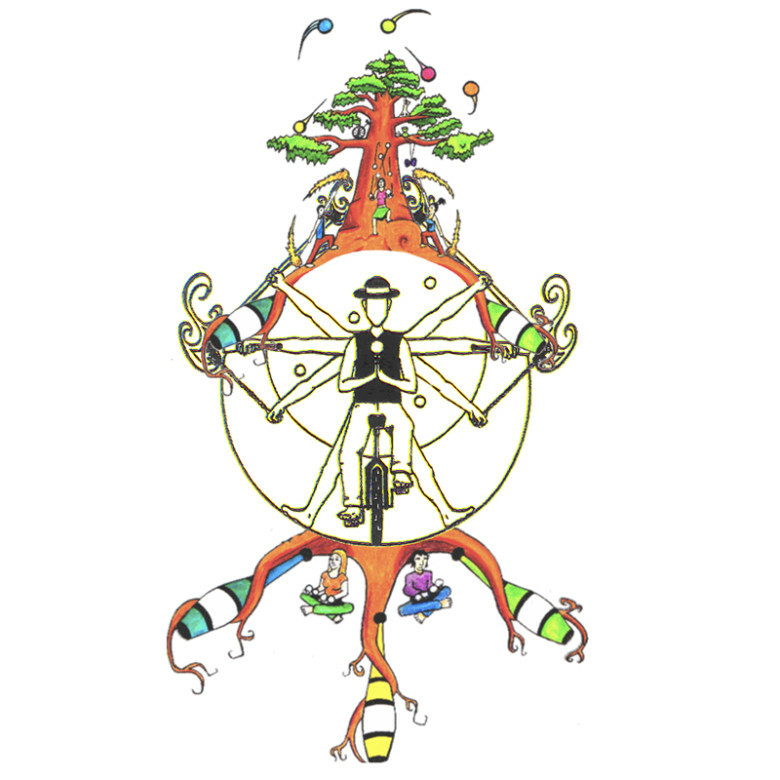 Next month, the UCSCJC (UC Santa Cruz Juggling Convention) returns with a vengeance!! After that, FireDrums (feat. Wes Peden!!) and then maybe, for me, IgNight (by way of a virtual stop at the Spin Summit). And I especially can’t wait for the OCF/IJA/EJC/Fringe circuit… here we goooo! That’s thirteen festivals, one of which went for five days (Madskillz), two which went for a week (EJC and Burning Man), and one that went for a month (Edinburgh Fringe). And this last one, like the rest, was a super good time and unique in its embodiment of a lot of current sentiment in my life. So here it goes: this year’s final round of the classic juggler’s game, High Low Goal Bane Crush Surprise, Fall MOPS edition! • Great classes all weekend. There were really some magic moments and I got a lot of positive feedback from folks who had taken the classes (busking + stage choreo) before. • What a great gala show! Felt like all the acts were pretty dang superb. • Actually, the whole renegade show in general. I felt like I wanted it to be either a lot better or a lot worse. As it was, it wasn’t quite “so bad it’s good” and the small handful of great tricks didn’t quite make up for the waffly boring stuff. • Finish and burn new poi and contact staff… fail. Oh well, there’s always the Santa Cruz Lighthouse jam. • Being late to my Sunday afternoon class (only by five minutes, but still). Can’t remember the last time that’s happened… if ever. Lesson learned about not wearing pants with pockets to hold a timepiece. • The gala stage! Super small, and not level – I placed all my props in the beginning of the act, and the next time I looked at them they’d all rolled to the center of the stage. • Olive from Harmonic Hoops, aka my crush from like every fest between EJC and MOPS. • I didn’t get scheduled for a single manipulation workshop! I didn’t feel bad about it since the contact teachers were super qualified and people ate up my discussion classes about hustling art. • Chris Murdoch at an LA festival! So stoked that I made it to the Bay Area Circus Arts Festival this year! Unfortunately, it wasn’t “right across the neighborhood” this year, since I ended up moving to Santa Cruz at the end of the summer. But Oakland isn’t a far jaunt from SC, and after a whole summer of taking days at a time to make it to the next fest it was a relief to only have to spend an hour or two in the car. • That gala show. So many killer acts! • Attendance. Maybe due to falling right after Portland Juggling Festival, there were a lot of “traveling family” from really far-off lands who made it down. • Attendance. For something called the Bay Area Circus Arts Festival, where was the Bay Area’s vast dearth of local circus people? • Dan Holzman running hats and can’n’balls in the gala show! I’ve always seen him in a comedy juggling context and to see him run a straight skills act was really something. 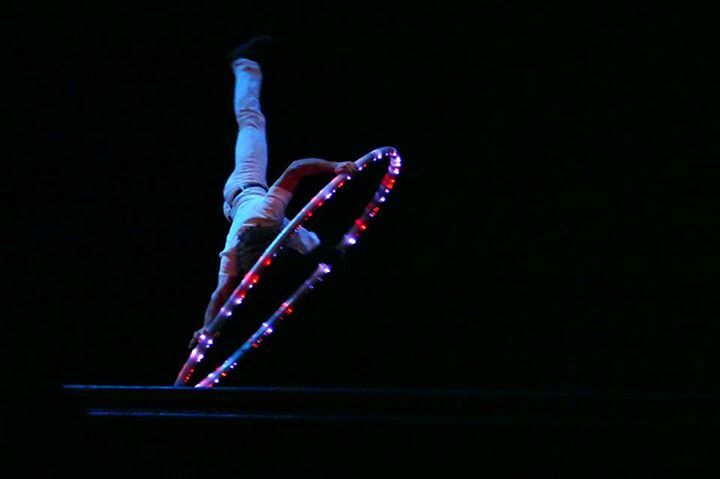 • Fleexy Flux did not hand-balance a single time in his gala act? • Not performing in the gala show. Makes sense considering the whole thing got put together while I was overseas, and besides – there was easily enough locals to build a stacked show.